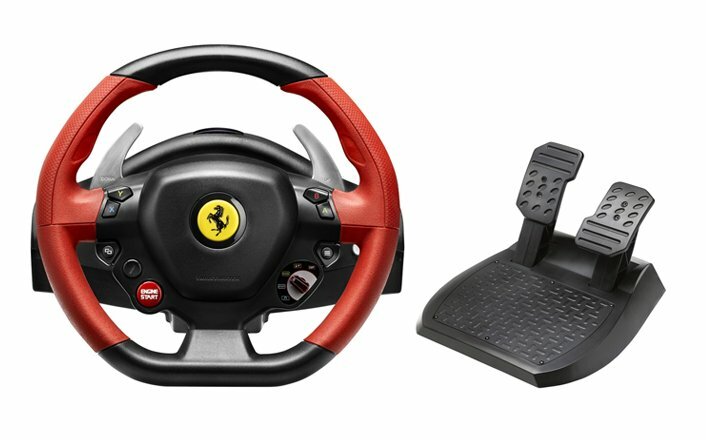 Thrustmaster has revealed a new wheel for the Xbox One, this time catering towards the entry-level market. 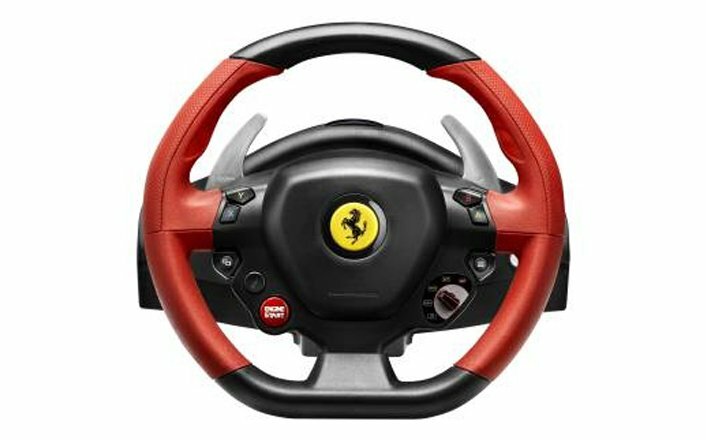 The 458 Spider Racing wheel will be a full featured racing wheel, officially licensed by Ferrari, in the sub-$100 price range. The 7/10 replica (11-inches in diameter) wheel will feature a bungee cord system, providing linear resistance through the 240 degrees of rotation. The wheel also features all the buttons for use on the Xbox One, including the Xbox Guide button, 9 action buttons, a two-position manettino dial, and a D-pad on the engine start button. The wheel also features a Kinect LED for controller pairing. 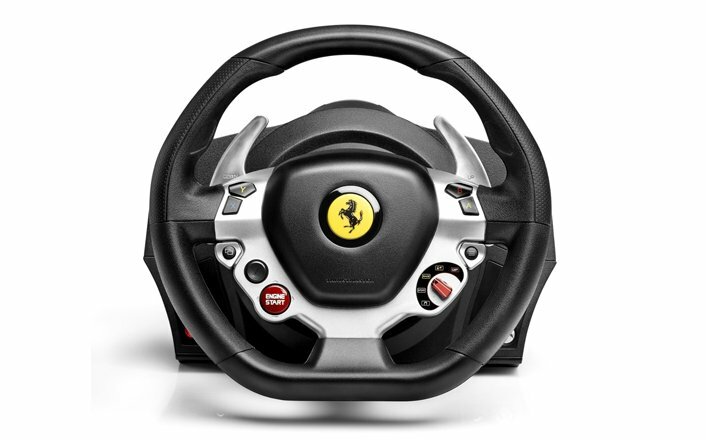 The 2-pedal set on the 458 Spider can also be adjusted to suit the drivers preferences. 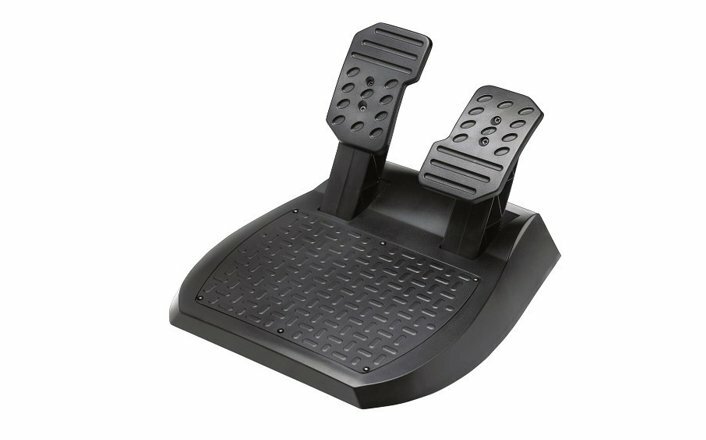 The brake pedal also features progressive resistance to provide a realistic feel from a budget set. 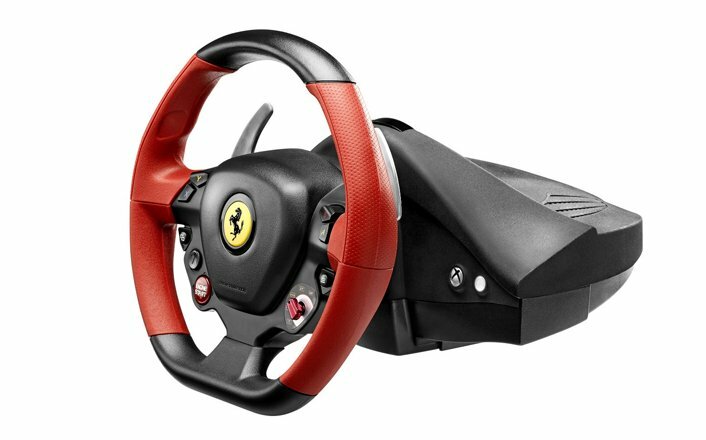 With a MSRP of $99.99 and release date of April 14th, 2014, the Thrustmaster 458 Spider Wheel is poised to provide a great solution for the Xbox One racer looking for a more realistic experience than a gamepad, but doesn’t want to shell out $300+ on a high-end racing wheel. For more information on the wheel, you can check out Thrustmaster’s official page. What do you guys think of the wheel? Mechanism: Bungie system that creates a center spring feel. Mounting: Desk or table clamp only for the wheel. Rim: 11”/28 cm in diameter rim made of plastic with rubber grips. This is definitely an entry level setup, but we recommend stepping it up and going with something that has force feedback.